Support DocumentationAssessor FAQWhy does it say that my assessment is incomplete? An assessment is never complete until all criteria in the assessment instrument have a performance level selected. If any of the performance levels have been left unselected, this will result in an "incomplete" status on the assessment. 1. If you have an incomplete assessment, it will appear in your Pending Assessments list with an orange Incomplete tag. 2. 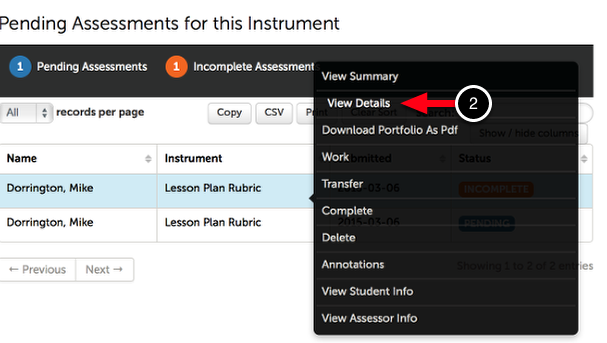 Click anywhere on the incomplete assessment to access it's options. Select Complete. 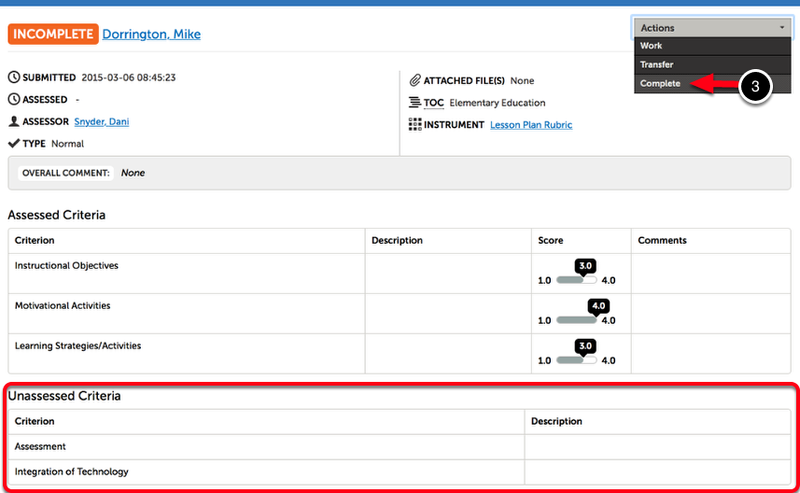 The "View Details" screen will display all assessed criteria, and all unassessed criteria. The unassessed criteria must be scored in order for the assessment to appear complete. 3. Use the Actions menu to select Complete. Each criterion with a prior selection will display that selection in green. 3. Use the Next/Prev Criterion buttons to move through the instrument. When you locate a criterion without a performance level selection, stop and make a selection by clicking on/selecting the appropriate performance level. 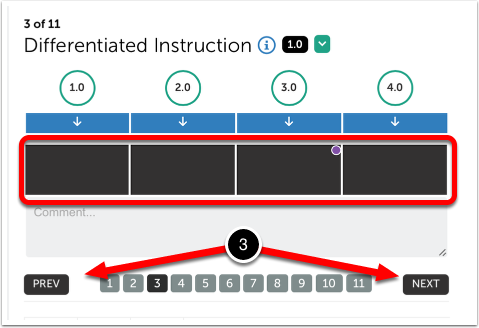 If there are multiple criteria without performance levels selected, you will need to make selections for each one. 4. Click Save. Your incomplete assessment will now appear complete. Prev: How do I make changes to a previously completed assessment? Next: Why does it say that my assessment is a draft?